Homebody Holly is having a Knock-Off Party! It'll be fun to see what Pottery Barn, Ballard Designs, and Restoration Hardware knock-offs people have come up with. I'm often inspired by Pottery Barn. Lately, I've done a couple of fun knock-offs. A wonderful pillow (click here to read about this). 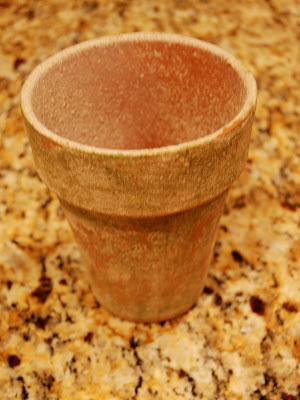 and an "aged" terra cotta pot (click here to read about this). Check out the party at Holly's for lots of fun knock-off inspiration! I also love the burlap. I'm using that fabric to tie up tulip bulbs - brown burlap with baby blue ribbons - for guest favors at a baby shower I'm hosting. I love your way of wrapping it. I've got to try that!! Not even sure which "knock off" is my favorite. I like them all! 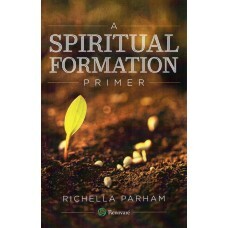 Great job Richella! A group of burlap covered vases with pretty flowers would make a terrific centerpiece for a table. I really like this idea and just may have to copy it. Love the burlap vase! I recently did the ballard knock off of the jute jars. I think Sarah at Thrifty decor did them a while back too. Hmmm...maybe I should do a post about those? :-) Have a great weekend! Thanks so much for joining my party! All your knock-offs are awesome. You have a great eye for recreating the look! You make the prettiest things! Love, love, love it all! The burlap vase is precious, but I think the pillows are still my fave! Great job!